A FINANCIAL ADVISOR for Canada Life committed fraud to the tune of €215,000 by creating fictitious insurance policies for clients that never existed, a court has heard. 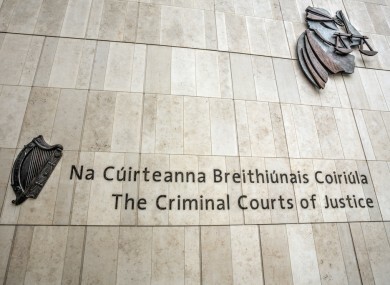 Patrick Walsh (33), of Crawford Street, Bruff, Co Limerick is to be sentenced on Monday at Dublin Circuit Criminal Court after he pleaded guilty to 75 charges relating to fraud and theft. Walsh worked as a tied agent with Canada Life Assurance Ireland from February 2010 to November 2011, when these offences came to light and his agency was terminated. He admitted drawing up 38 fake insurance policies during this period of employment, using names for make-believe clients with names similar to his own, his estranged wife’s, or the names of his genuine clients. Walsh further admitted 37 counts of theft from Canada Life, as the company unwittingly paid him commission for each of the false policies. On top of his commission payments, Walsh admitted receiving performance-based bonuses amounting to about €50,000. The court heard that none of the genuine policy holders were left out of pocket, but that Canada Life was at a loss of €230,000. Walsh told gardaí on arrest that he started manufacturing policies in order to be able to pay for a house he was building with his now estranged wife, Ms Clare Weeks. But he said “things got into a big mess very quickly” when he had to come up with more and more money to avoid the fake policies from lapsing after a period of time. I got myself into a big hole and couldn’t see a way out. I was under pressure from Canada Life to sell more and more policies. I was robbing Peter to pay Paul. “In hindsight, I should have put my hands up earlier. I’m a normal person who made a mistake, or rather who made 38 catastrophic mistakes,” said Walsh. Una Tighe BL, prosecuting, explained that Canada Life has a direct sales force of 85 tied agents operating from branches around Ireland. Each of them operates as a self-employed financial advisor but can only sell policies for Canada Life. Detective Sergeant Paschal Walsh from the Garda Bureau of Fraud Investigation said Walsh paid a total of €90,000 to fabricate policies, but that these policies were only worth €75,000 by the time his offences came to light. This depreciation in value explains why Canada Life was left at a loss of €230,000 while Walsh profited by €215,000. Walsh made payments from his own bank account and from the joint bank account he shared with his former partner, who was under the belief that the transfers out of their account were for the purpose of building their house. Walsh also set up direct debits from the accounts of genuine policyholders, but when they drew attention to these withdrawals he made refunds from his own account. Canada Life became aware of the offences when certain policies lapsed and an internal investigation was launched. John Fitzgerald BL, defending, said there was an initial proposal for Walsh to pay back the money, but as he was unable to do so, the matter was referred to gardaí. Walsh made full admissions to gardaí and said he had been under financial pressure over the building of a house with his former partner. He said Ms Weeks had to get a sole mortgage in her own name as he had a poor credit rating, but that he wanted to contribute to his side of the construction process. Mr Fitzgerald said his client’s wife initially stood by him but found the publicity surrounding the matter in a rural area difficult to deal with and they are now estranged. Walsh is living with his elderly parents and has “lost everything”, the court heard. He helps his father who has medical difficulties and is an active contributor to his local sports club. Walsh has no previous convictions. Judge Patrick Nolan adjourned sentencing until Monday at 1pm. Email “'I was robbing Peter to pay Paul': Financial advisor to be sentenced for '38 catastrophic mistakes'”. Feedback on “'I was robbing Peter to pay Paul': Financial advisor to be sentenced for '38 catastrophic mistakes'”.